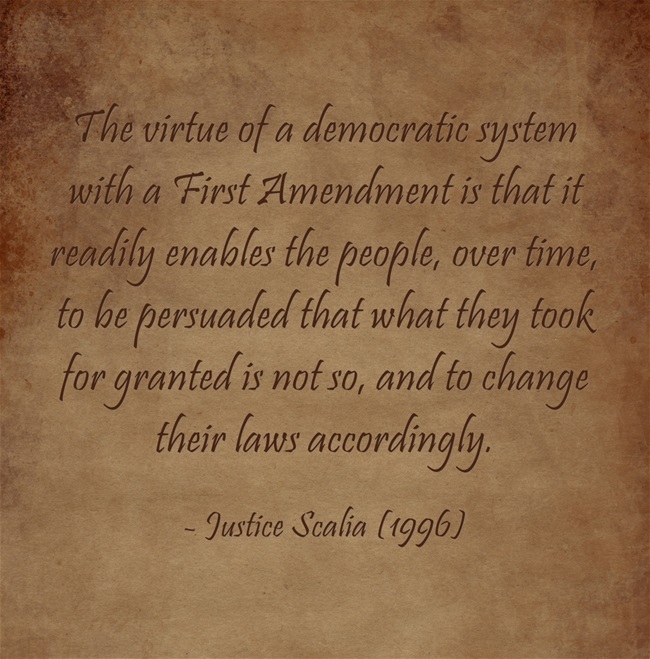 Antonin Scalia | Utopia – you are standing in it! This entry was posted in constitutional political economy, law and economics, politics - USA and tagged Antonin Scalia, constitutional law on November 15, 2018 by Jim Rose. This entry was posted in law and economics, politics - USA and tagged Antonin Scalia on October 30, 2018 by Jim Rose. This entry was posted in comparative institutional analysis, constitutional political economy, law and economics, politics - USA, Public Choice and tagged Antonin Scalia, constitutional law on September 9, 2018 by Jim Rose. This entry was posted in constitutional political economy, law and economics, politics - USA, Public Choice and tagged Antonin Scalia, constitutional law on September 9, 2018 by Jim Rose. This entry was posted in comparative institutional analysis, constitutional political economy, politics - USA, Public Choice and tagged Antonin Scalia, constitutional law on September 3, 2018 by Jim Rose. This entry was posted in comparative institutional analysis, constitutional political economy, economics of crime, law and economics and tagged abortion rights, Antonin Scalia, constitutional law on July 21, 2018 by Jim Rose. This entry was posted in comparative institutional analysis, constitutional political economy, law and economics, politics - USA and tagged Antonin Scalia, constitutional law on July 18, 2018 by Jim Rose. This entry was posted in comparative institutional analysis, constitutional political economy, law and economics, politics - USA, Public Choice and tagged Antonin Scalia, constitutional law on July 10, 2018 by Jim Rose. This entry was posted in comparative institutional analysis, constitutional political economy, law and economics, Public Choice and tagged Antonin Scalia, constitutional law on July 10, 2018 by Jim Rose. This entry was posted in comparative institutional analysis, constitutional political economy, law and economics and tagged Antonin Scalia, constitutional law on July 9, 2018 by Jim Rose.